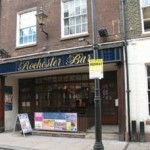 Trying to find pubs in Rochester? You’ve come to the right place. We’ve got every pub and bar in the UK listed. Whether you’re looking for a pub or bar in Rochester to play darts, somewhere to play pool or just want to have a look at a menu before you go, we can help. 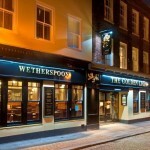 Kings Head in Rochester has accommodation. The pub has a function room that can be booked, it has a dart board. Kings Head shows football on TV. The pub has terrestrial TV. George Vaults in Rochester has aircon. The pub has a beer garden, it has disabled facilities. George Vaults is a family friendly pub. The pub serves food, it has a function room that can be booked. 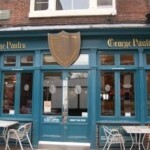 George Vaults has an outside area. The pub has a smoking area, it has free WiFi. George Vaults has DJ's. Crown in Rochester has aircon. The pub has a beer garden, it has a car park. Crown is a family friendly pub. The pub serves food, it has a function room that can be booked. Crown has an outside area. The pub serves real ale, it has a smoking area. Crown has free WiFi. The pub shows live comedy, it has a dart board. Crown has DJ's. The pub has karaoke, it has live music events. Crown has a pool table. The pub holds quiz nights, it has a big screen. Crown shows football on TV. The pub has Sky Sports, it has terrestrial TV. 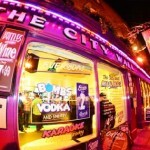 The City Wall in the Heart of Rochester High street is the perfect place to meet for drinks, food & entertainment. Eagle Tavern in Rochester has a beer garden. The pub has disabled facilities, it is a family friendly pub. Eagle Tavern serves food. The pub has an outside area, it serves real ale. 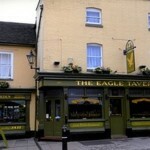 Eagle Tavern is a member of Cask Marque. Coopers Arms in Rochester has a beer garden. The pub has an outside area, it holds quiz nights. Coopers Arms shows football on TV. The pub has terrestrial TV. 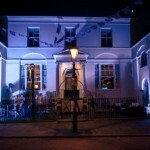 From the early 19th century until the 1920s, 147 High Street had been The Golden Lion. Queen Charlotte in Rochester has an outside area. The pub has a smoking area, it has a dart board. Queen Charlotte has a pool table. The pub shows football on TV, it has terrestrial TV. 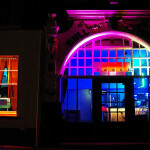 Prince Of Wales in Strood has accommodation. The pub has a dart board, it has live music events. Prince Of Wales has a pool table. The pub holds quiz nights, it shows football on TV. Prince Of Wales has terrestrial TV.